The statistic shows the share of developers worldwide currently working on connected devices or Internet of Things (IoT) projects, as of 2016, by region. 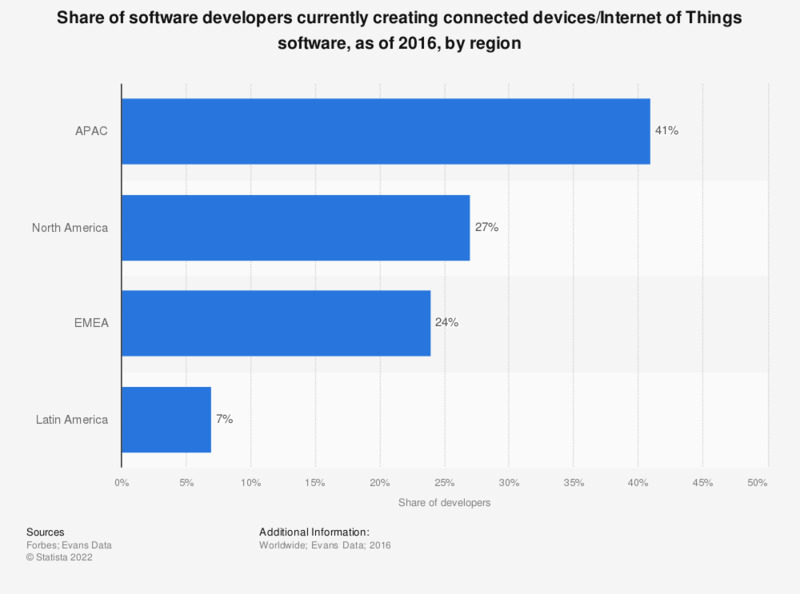 At that time, 41 percent of developers in the Asia Pacific were creating connected devices or Internet of Things software. The question was phrased by the source as follows: "What are your plans for developing software for connected devices or the Internet of Things?"